Do you hate setting goals? I used to. There’s nothing more frustrating in the world that dreaming big and never getting there. It’s more about leveling up than it is going for broke. Today, on the Brighter Side, we’re rethinking how we approach setting our goals. It may be counter-intuitive or go against all you know to be true about productivity, but try this out and see if it makes as big a difference for you as it has for me. There comes a time when you’ve got to chuck what’s keeping your from creating the abundance you really want. It’s time to set some goals that DON”T scare you. Setting goals is absolutely a part of being successful. If you don’t know what you want, then you certainly can’t create it. Get clarity. Write it down. Make a recording of it and listen to it to remind you everyday of what you are doing and why. Creating goals, even realistic ones, is great, but if you put them in a drawer and forget about them, they’re useless. You’ll be rifling through your drawer next year, and smack your head on the desk when you pull them out and realize you completely got off track and went sideways down the rabbit hole of good intentions. Now, it’s time to take action in the comments below and share how you are rethinking your BIG goals. I want to know! P.S. Here’s the link to the form so you can be a part of #theBrighterSideTribe! 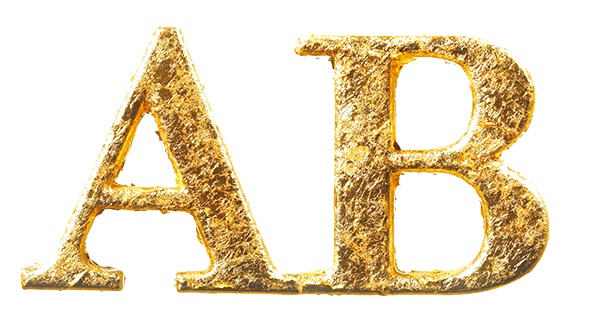 We’ll be launching soon and I can’t wait to get to know you better! I have several ideas for a business but always too scared to start. Absolutely, Laura! Seriously think about starting small! It can really help you over that fear! 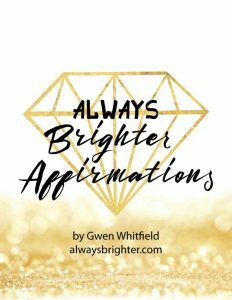 Have you gotten the Always Brighter Affirmations yet?